There will be a general meeting tonight at 6:30pm in GEA 105. 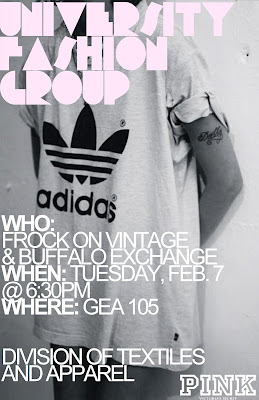 Frock On Vintage and Buffalo Exchange will be our featured guest speakers! Victoria's Secret PINK will be raffling off some prizes! Join us for Fashion, Food, Fun, and Friends!